'Tis the season for crafting decorations! 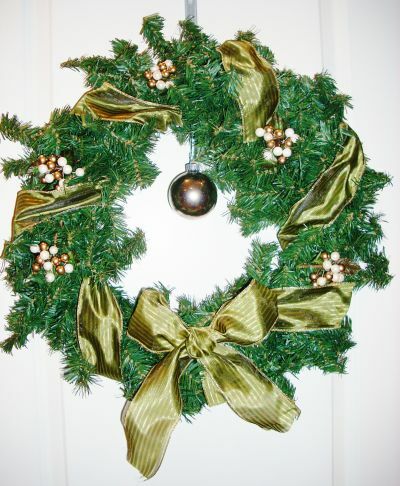 I decorated two Christmas wreaths for my home. This is a very simple craft project that you can easily customize to any decor style. If you're hanging the wreath on a door, bells add a nice touch because they'll jingle whenever the door opens or closes. Or you can just literally hang a bell on your door. That works too. 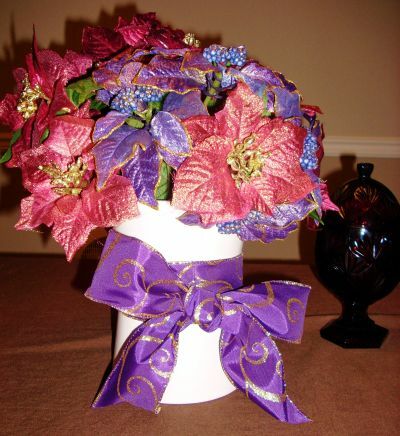 Sparkly silk flowers make a nice arrangement on the dining table. I added a coordinating purple bow. 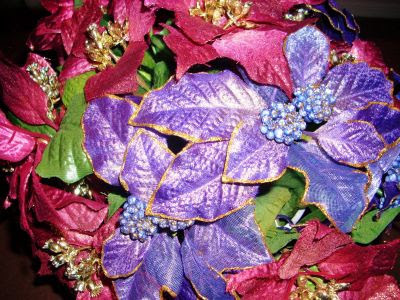 While you're in the floral section, pick up some sprigs and flowers to accent a wreath too! Step 1: get a plain wreath and fluff out all of the branches to make it look fuller. Bonus Points: wrap a strand of battery-operated holiday lights around the wreath and secure the battery pack to the back of the wreath. 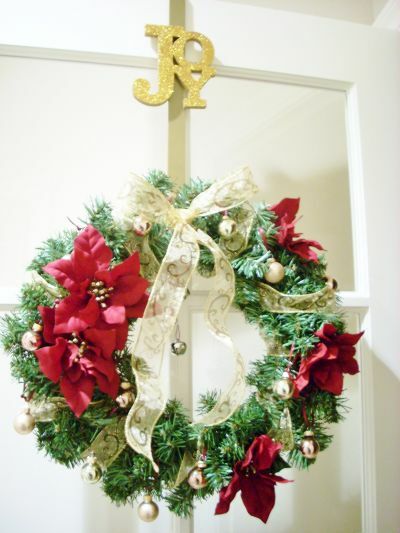 Step 2: Wrap the ribbon around the wreath, being careful not to twist the ribbon as you do so. You will probably use the whole roll, so make sure the ends are even in length, then tie a pretty bow at the bottom (or at the top if you prefer). 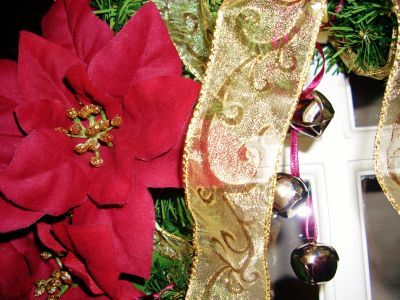 Step 3: Add "garnishes" - sprigs of holly or silk flowers, ornaments, bells. 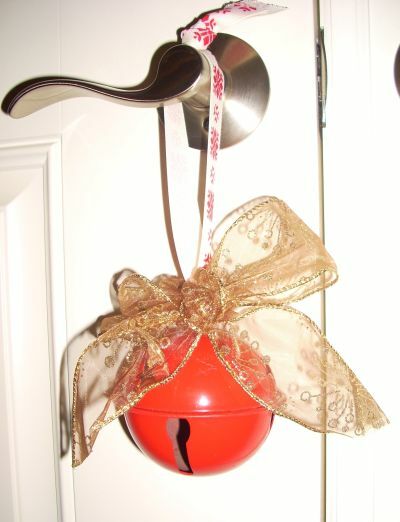 Step 4: Hang it on a door and enjoy!